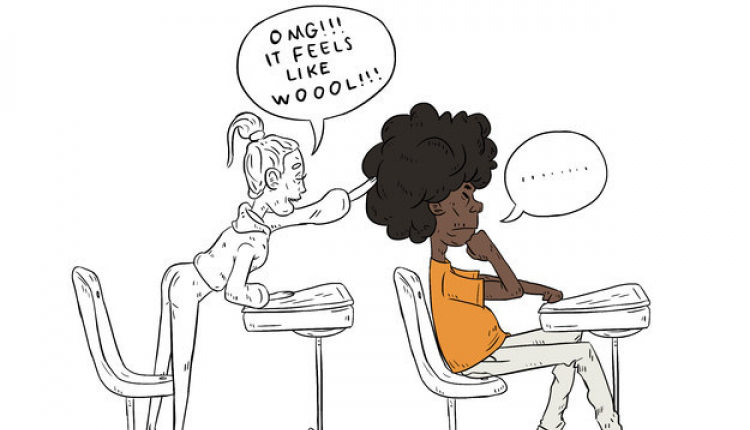 Check out these illustrations from LA based artist Pedro Fequiere – from his new spot-on Buzzfeed listicle, “17 Struggles All Suburban Black Kids Know Too Well’. Any black person who has experienced or currently experiencing youth in a suburban (or mostly-white environment) should definitely understand where this illustrator is coming from. See some extracts below and CLICK HERE to see more.